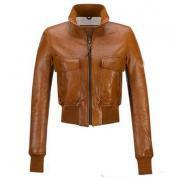 This jacket is made from genuine leather, and has a asymmetrical full zip at the front of the opening. 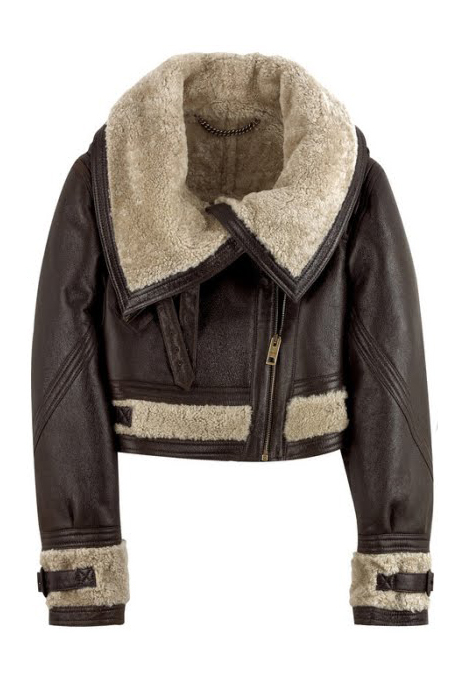 This jacket is fluffed with faux fur, collars are also padded with cream colored faux fur. Full sleeve with fuzz bounded edges. Hand warmers on both the sides with safety pockets inside the jacket. 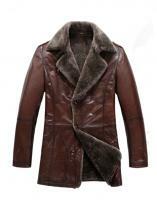 This dazzling jacket will keep you warm and pamper in the winters. 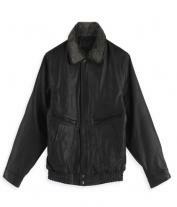 Coated with nylon on the out for sheen look and dual lined with polyester inside and quilted with biscuit colored fur. You will look like a doll with this beautiful jacket.